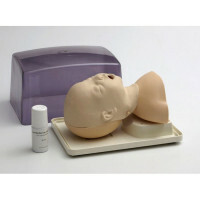 This Airway Management Trainer simulates a nonanesthetized patient for practicing intubation, ventilation, suction, and CPR techniques. 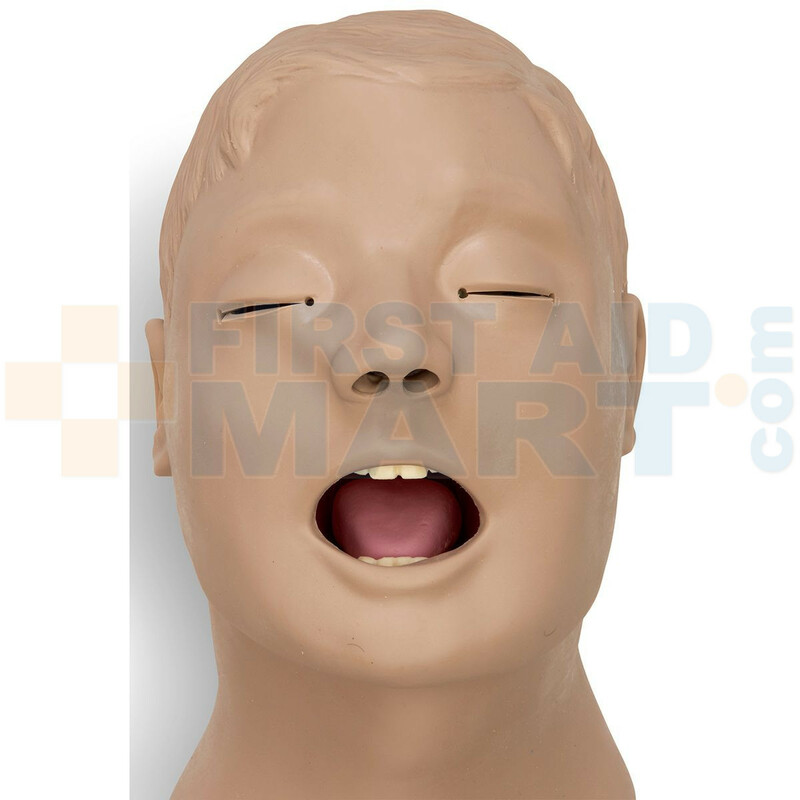 Realistic anatomy and landmarks including teeth, tongue, oral and nasal pharynx, larynx, epiglottis, arytenoids, false cords, true vocal cords, trachea, lungs, esophagus, and stomach. 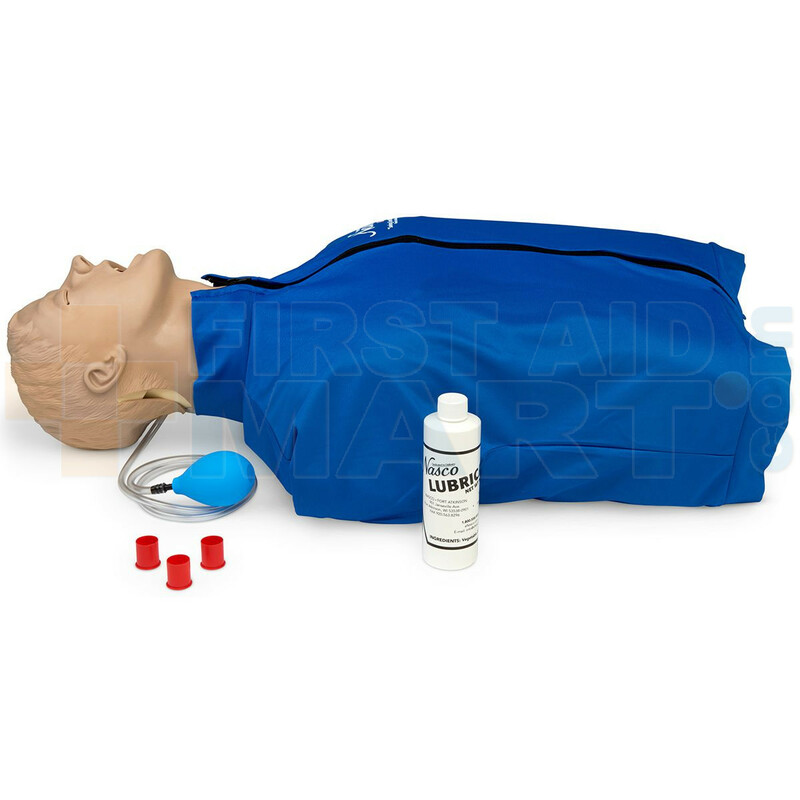 The trainer allows you to practice oral, digital, and nasal intubation, as well as E.T., E.O.A., P.T.L., L.M.A., E.G.T.A., Combitube®, and KING System insertion. 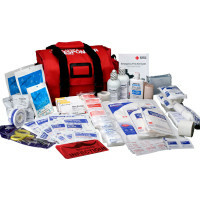 Suction techniques and proper cuff inflation may also be practiced and evaluated. Features durable, rugged construction and bifurcated lungs. 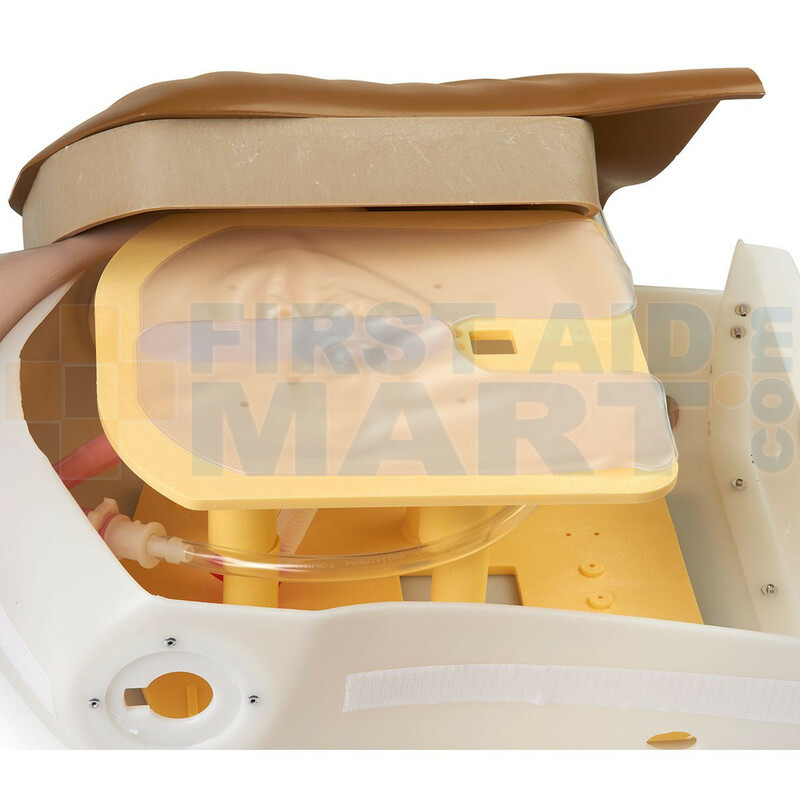 The Airway Larry Adult Airway Management Trainer represents an adult with more room to maneuver. With its slightly anterior position, Airway Larry is a great trainer for introductory as well as advanced students. Mounted on a CPARLENE® Basic Torso. 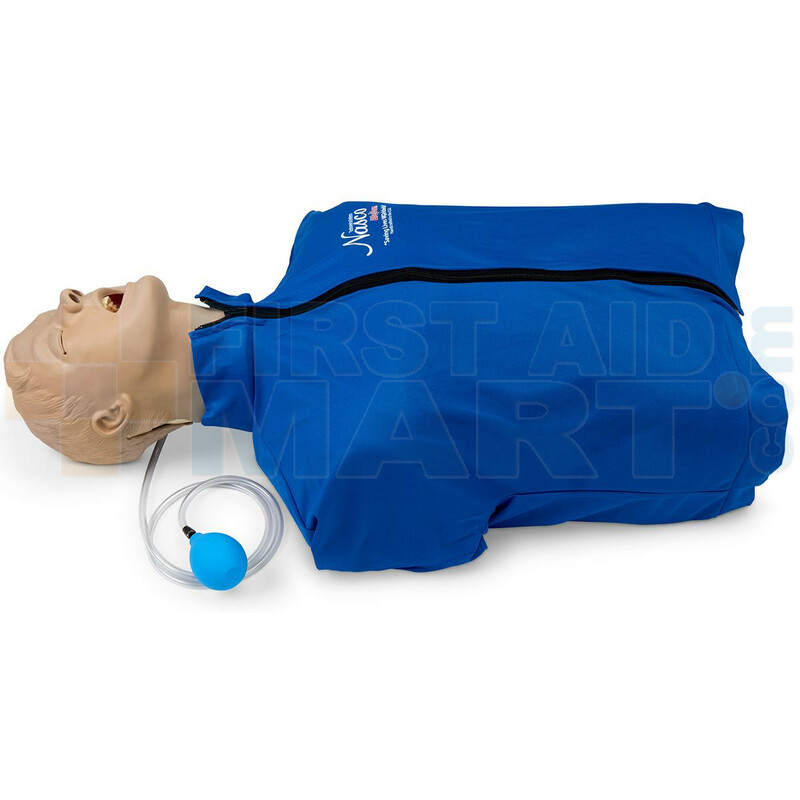 CPR and airway management procedures may be performed. Manual carotid pulse. 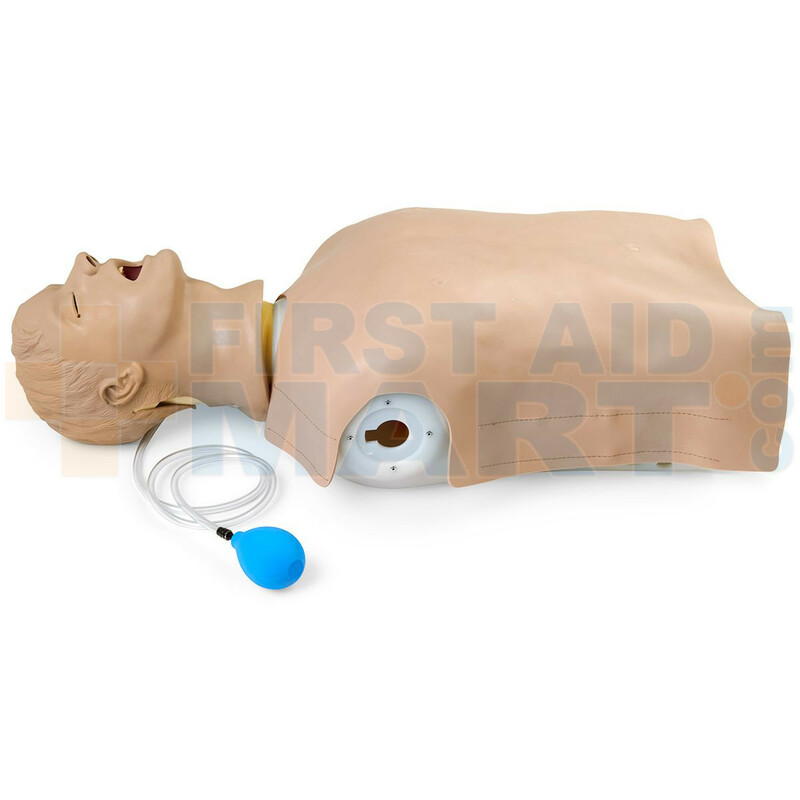 Comes with pump spray lubricant and disposable lower airway for the manikin. Five-year warranty. Airway Management Trainer Manikin - LF03669U.